Many organisations dispose of IT and office equipment that is still in good working order and nowhere near obsolete. Ekox is aiming to resolve this problem by servicing equipment for reuse in high volumes. Customers get equipment – in some cases, their old devices after servicing – that is cheaper than buying new devices. The extended life cycle means that the carbon footprint of equipment is reduced and even halved in some cases. Companies and organisations continuously dispose of reusable IT and office technology. Instead of reusing these, they purchase new expensive equipment. As a result, the usable equipment are taken to landfills. The manufacture of new technical equipment consumes non-renewable resources and produces emissions. Ekox services IT equipment for reuse and empties equipment hard drives while taking into account information security. The company’s Noutoturva service collects equipment from the customer, sorts it according to condition and empties the equipment. Customers can purchase or rent serviced equipment via the Ekone service. The Iisi service, in turn, allows customers to purchase the electronics of an office, building site or event venue. The electronics packages are installed and ready to use. By extending the service life of a laptop from three years to seven years the carbon footprint of the device can be up to halved. Ekox’s revenue comes from servicing equipment, the sale of serviced equipment and equipment rental. Customers who want their equipment back after it has been serviced pay a fee for testing and servicing. If the customer does not claim the equipment back within 60 days, it is sold on the service portal. Reused equipment is a cost effective and ecological option for customers. Pre-owned serviced equipment is considerably cheaper than new equipment. A pre-owned device is suitable for many purposes. 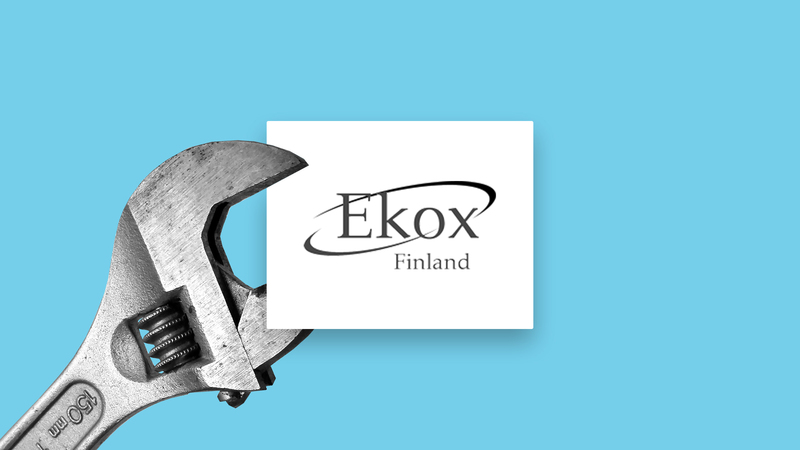 Ekox collects equipment directly from the customer, which means that the customer organisation does not have to arrange recycling or storage. Customers can check the portal to see what types of equipment they have handed over, print a report of collected equipment and choose which devices they would like to receive back from Ekox. The most interesting companies in the circular economy is a list compiled by Sitra to showcase Finland’s most inspiring examples of the circular economy. Sitra is using the list as a way to challenge Finnish companies to meet the changing needs of the world.